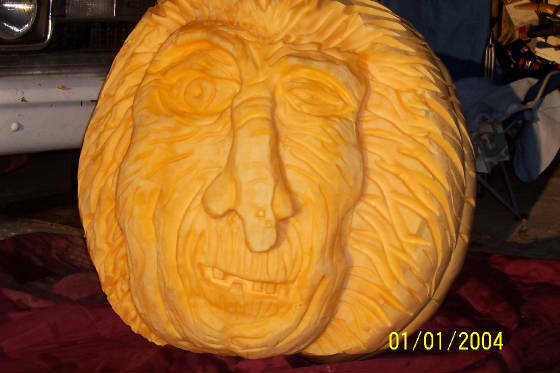 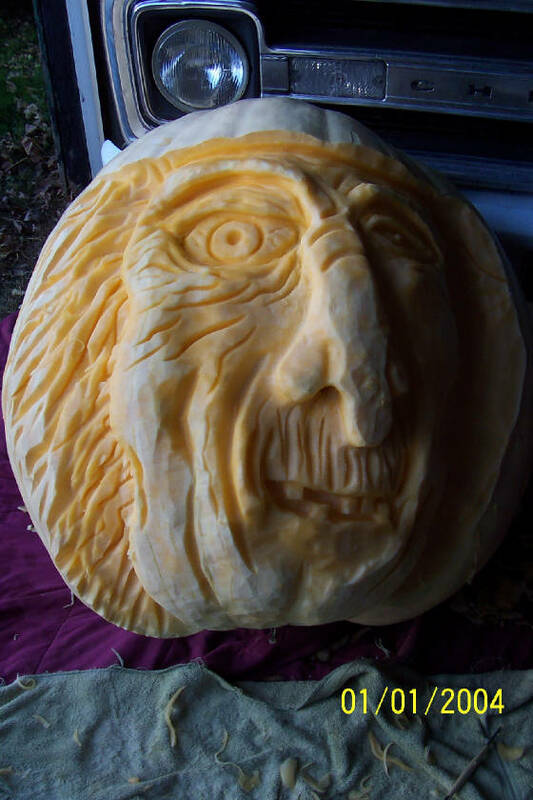 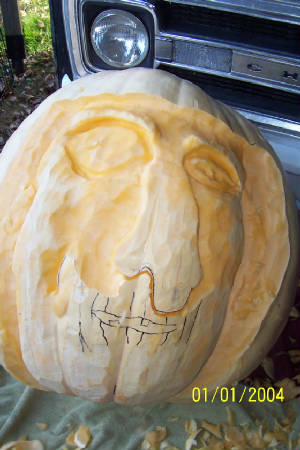 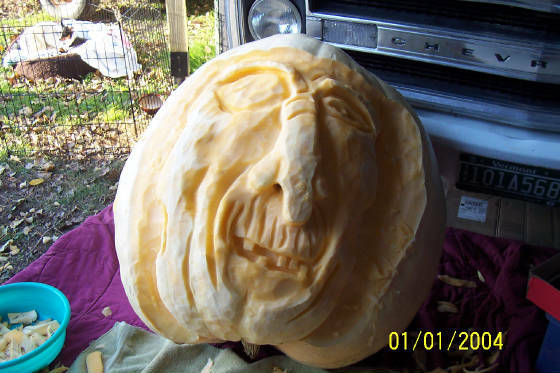 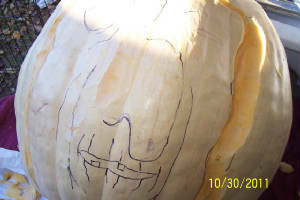 These photos were taken during the carving process. 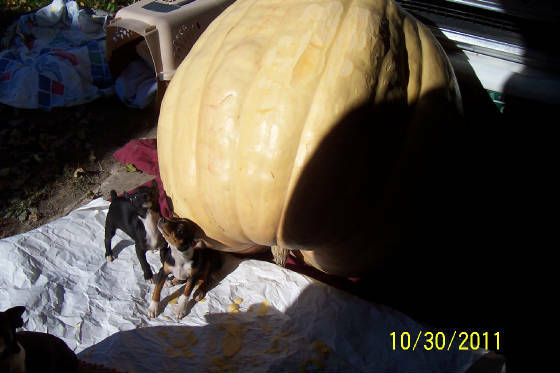 Achilles and Lilly get ready to eat lots of pumpkin scraps from this 325 lb pumpkin. They are 4 month old Rat Terriers.